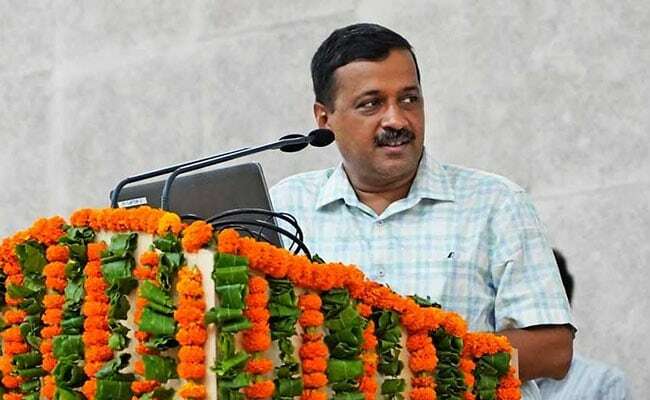 From September 10, the people of Delhi won't have to run from office to office to get their work done as the Delhi government will start its "doorstep delivery of services" in the city, Chief Minister Arvind Kejriwal said on Sunday. Through doorstep delivery of services, Mr Kejriwal said, a person can even get an income or caste certificate, driver's license, or pension through a "single phone number". "On September 10, the Delhi government will give you a single phone number on which you can just order the service you want. Just convey the time to suit your convenience, and a Delhi government official will come to your doorstep to get your work done," said Mr Kejriwal. He was speaking at the inaugural function of the Sub Divisional Magistrate (SDM) office in Dwarka Sector 10, which he said, would help people in the area where they had to travel long distances to get an income or caste certificate. Mr Kejriwal said the doorstep delivery of services would remove the role of touts, save people's time and cut short long queues in front of offices. "After just one call, the official will come to your home with all the required machines including biometrics and scanners. You will then just have to upload your documents and your certificate or license will be delivered to you within a week," he said. He said this scheme would first consist of only "40 government services" by the Delhi government but will gradually offer 150 services to the people of the national capital.